I am a licensed Clinical Social Worker with more than 30 years experience in Christian counseling, parent training, and therapy that brings healing to trauma victims. I am a helper, an encourager. My husband, Dan, was a gifted Christian Family Counselor, minister who could read New Testament Greek quite well, a true visionary who led 100's to Christ during his lifetime. When Dan knew that he would soon be going to his eternal Home, he gently said, "I'd like for you to return to Romania and carry on our work...if you want to." Smiling through my tears, I replied, "I'd like very much to do that." Our work...helping the hurting, the lost, the needy...that has always been our work...being "Jesus with skin on" one might say. It was Dan's vision to help people here to improve their lives by learning good conversational English using the Easy to Read New Testament, and, at the same time, come to understand how much God loves them. We did that through English Bible discussions one on one, or in small groups. It was his strong desire to help parents become better parents through the Parenting School we helped establish, to help people find peace through good counseling. With God's help, I can carry on our work. I basically live on my Social Security. Individual intentional followers of Jesus provide the Benevolence and Working Fund. But to give some history - In 1996, Dan was asked by our one of our sons, Dean, to accompany him to inspect the work of Agape Foundation in Sfantu Gheorghe, Romania. At the time, the Randy Dean family were doing benevolent work helping orphans, single moms. Later, in 2000, we were praying, "God use us as tools in your hands to glorify you." Then, at the encouragment of friends, I added the prayer of Jabez. I thought it was something I wanted the Lord to help me do. God heard our prayers. One day, as I was going down the staircase in our home in Coppell, TX, I heard a voice say these words, "If you will sell this house and move, I will use you more in missions." (I don't often hear a voice that clearly.) I ran to find Dan to tell him. We put our house on the market; it sold; we moved to the Ft. Worth area to be near our daughter and her family. Three weeks after we moved, Randy Dean contacted us asking us to come to Romania to teach two little congregations on Christian Parenting. We replied, "We will pray about it. If God wills, we will come." Their sponsoring congregation, Saturn Road, contacted us and said, "If you will go, we will buy your plane ticket." There was the affirmation. The little group asked us if we'd return the next year to teach again at their retreat. We said, "We'll pray about it. If God wills, we will come." The next year, the same thing happened. Saturn Road sent us here. Maria, a Christian Social Worker here, arranged for us to train the many professionals who work with abused children in this little city . After that, the professionals requested that we return every year, twice a year to help them learn better ways to help the hurting. Former wine cellar serves as distribution center for donated clothing. God opened the door for us to move here, continue training professional counselors, teaching the church members, and eventually to be the missionaries who invite Let's Start Talking to come each year. (LST will not send teams where there is no missionary.) After much prayer and laying out a fleece, to our surprise, the answer came soon. God showed us clearly that we were to move here. ...the owner of the house we were leasing e-mailed us that she it was too much work and expense for her to maintain a rent house. She wanted to sell that house. Well, we suddenly had no home in the U.S. We had to move somewhere...and God had already opened our minds and hearts to the idea of moving here. Red Cross - Adolf and Reka. So, what do I do now? 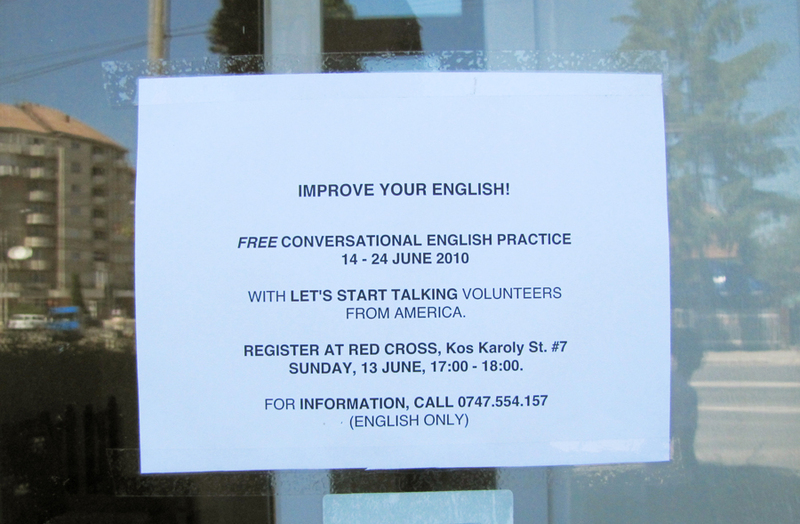 I am a volunteer with the local Red Cross. I counsel whomever they request help for. I advise the psychologists and Red Cross volunteers when they ask my help. I raise funds for the Red Cross to purchase medical equipment (crutches, walkers, wheelchairs, diabetic equipment, etc. ), medicine for the poverty stricken families and the elderly. 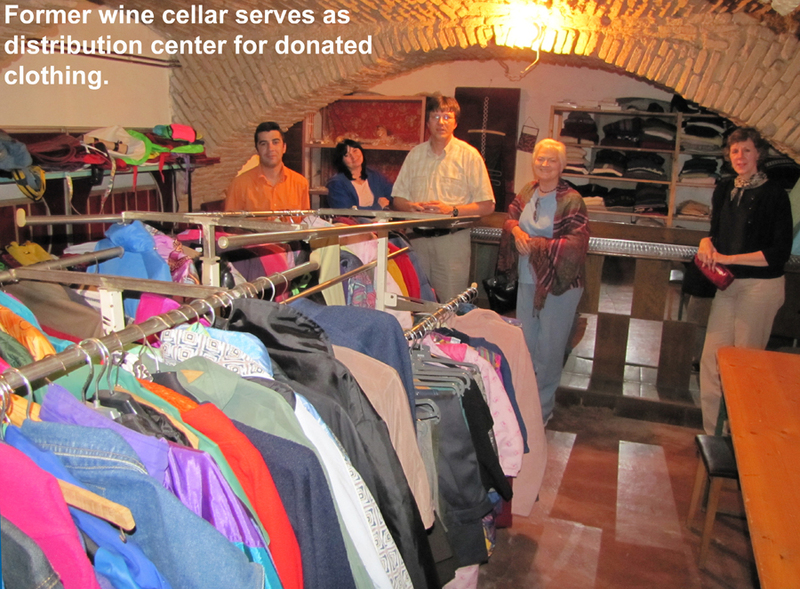 I solicit good used clothing from Christians in the U.S. (an estimated 1,000 pounds of good, used, warm clothing every year to clothe the destitute.) God's Children also seeks individuals who will provide partial support to help deserving students be able to stay in high school or university. The reception area (in front) and one of the rooms (through the door) at the counseling center. Other rooms are to the left. In addition to that, I train the psychologists and social workers in advanced counseling techniques that are not known here. I provide weekly guidance on how to help their clients. They are just now learning many of the methods that were being taught in the States as long ago as 40 years ago. Also, I counsel severely abused women, children, men...and help them overcome the after effects of abuse. All ages come to the LST Follow Up English Bible Discussion Group. 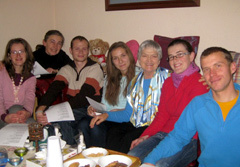 My Team and I prepare for the LST teams to come to St. George, Covasna County, Transylvania, Romania. We connect the teams with the people who want to improve their conversational English. I teach about subjects requested by local schools, organizations, etc. There is an open door because many of the good people here want to find healing from the ravages of Communism. I am basically an encourager who helps people improve their lives. A closer walk with the Lord is the best way to improve one's life. I point them in the right direction, and leave the decision up to them. I just try to be the hands and feet of Jesus...being Jesus "with skin on" is my goal. It is much harder to carry on without my Dan. He was a wonderful partner in this work. I miss his wise counsel, daily help with Bible study, the accounting, and all the other things he did as my husband. I just miss him. He was the love of my life, my mentor who helped me overcome a very abusive childhood to become the Christian that I am today. But God is my true strength and mentor. I walk even closer with Him now that Dan is at rest. Well, maybe you understand better what I do here? I certainly appreciate all the help you provide me. I certainly appreciate all the help Peggy Sullivan provides me - letting you know that we received and are thankful for your support. I don't have spare minutes to write the personal thank you letters that I'd like to write. I strongly believe that the precious people who make sacrifices to help me do the work here deserve to know that their money was received, and appreciated. Each one on the list of supporters sacrifices something to help provide for the needs of the hurting people here. I am thankful every day for the help God provides. It's secure! You may donate using your credit card or your bank account.